Please feel free to review our list of investment properties. Access to this property’s Investment, Financial, Management and Due Diligence information is private. Please call (805) 496-8559 for the password to enter here. Or please email us: Info@TripleNetZeroDebt.com. 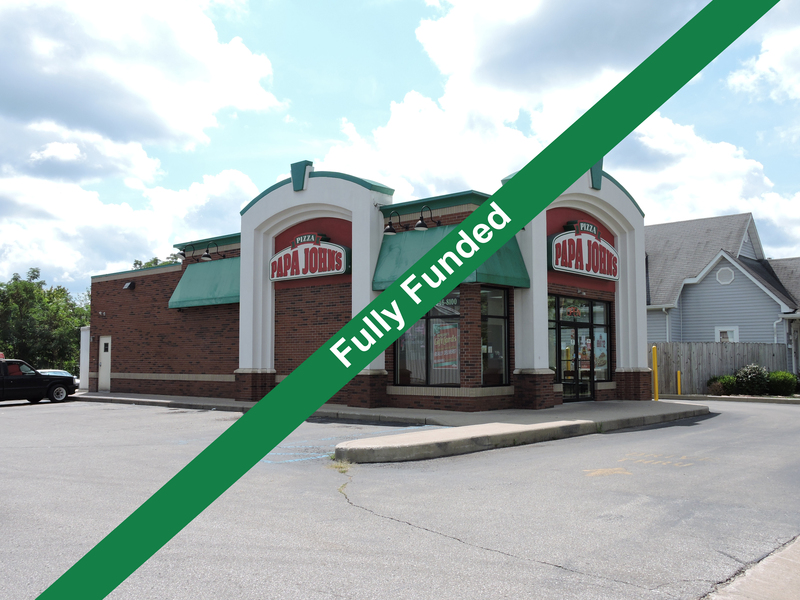 TripleNetZeroDebt.com is pleased to offer this investment opportunity to accredited investors to join us in the purchase of 3 single tenant triple net, 100% occupied properties in Southern Indiana. 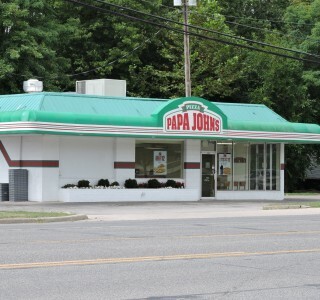 Each of the 3 properties is occupied by Papa Johns Pizza. These properties will be purchased individually and simultaneously.These Properties represents a unique opportunity to invest and diversify your real estate holdings in stabilized, debt free, 100% occupied, free standing, single tenant, net leased assets. All properties have existing in-place cash flow and offers a stable monthly cash flow with the potential of asset appreciation through built in contractual rental increases. The core objective of this investment is to receive a steady monthly cash flow while the property appreciates over time. Investors distributions will commence on the first of the month, 91 days following the close of escrow (or sooner). Distributions will continue monthly thereafter. Click on thumbnail to view larger image. Click your BACK button to return to this page. 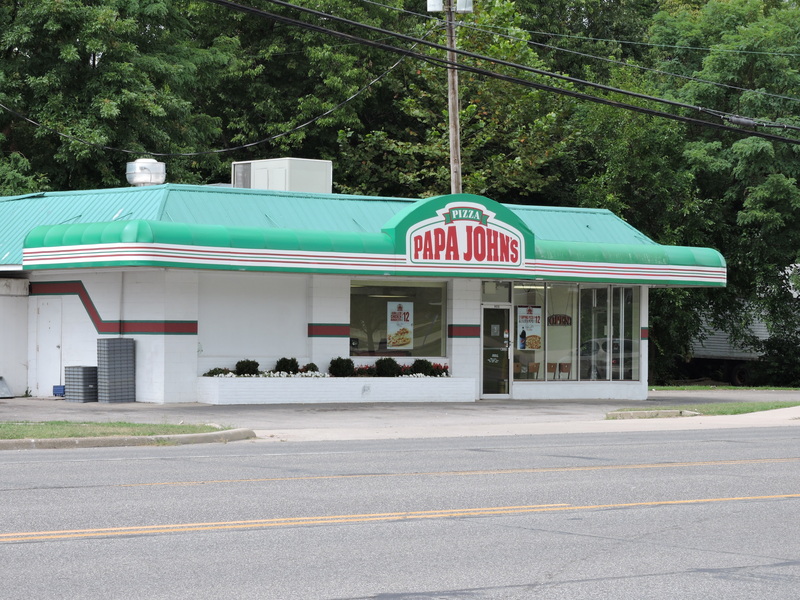 Papa John’s restaurant franchise was founded in 1983 when “Papa” John Schnatter knocked out a broom closet in the back of his father’s tavern, Mick’s Lounge, in Jeffersonville, Indiana. Today, the company is the third largest take-out and pizza delivery restaurant chain in the world with headquarters in Jeffersontown, Kentucky, near Louisville. Internationally, there are over 4,600 Papa John’s establishments, including over 3,200 in the U.S. and the remainder spread among 34 other countries. Papa John’s primarily takes carryout and delivery orders, although some stores have tables and chairs for dining in. 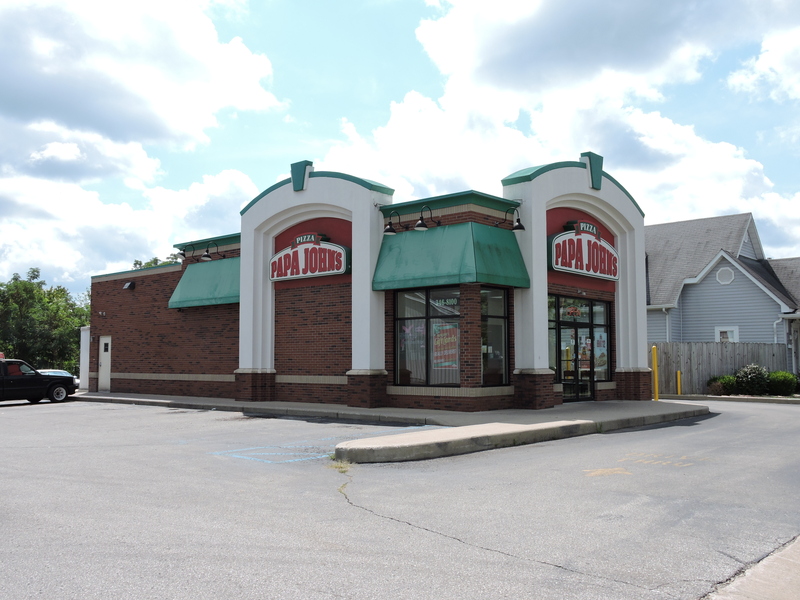 These three location were originally owned and operated by the brother of John Schnatter. They are among the original Papa John’s in the chain with store numbers (out of 4,600+) of #77, #120 and #784. 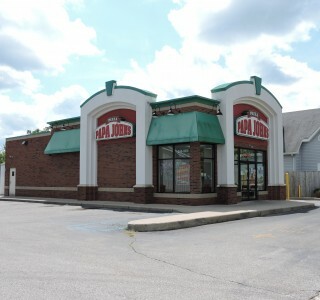 The Papa John’s corporate office is located a short drive down I-65 in Jeffersontown, Kentucky. BAJCO Group started its first business venture in the U.S. opening two Papa John’s pizza stores in Ohio in 2002. In March, 2003, the group signed an agreement with Papa John’s International to develop 10 Papa John’s stores in Pittsburgh, Pennsylvania. The group is currently comprised of fourteen associate companies which independently own and operate 129 Papa John’s Pizza Units in the states of Pennsylvania, Ohio, Indiana, Illinois, Michigan, Florida, New York in the U.S. and province of Ontario, Canada. The group is currently engaged in business sectors of food, telecommunications, healthcare and medicine. As part of its strategy to establish a global footprint, BAJCO Group recently signed a development agreement with International Dairy Queen to develop and operate various DQ stores all across the United Arab Emirates. Located at the corner of Main and E. Hackberry St.
Salem is located just 35 miles North of Louisville, Kentucky and under 100 miles South of Indianapolis, Indiana. Salem has a strong and diverse economic base and is home to some unique and historic destinations. Salem offers a smaller town lifestyle with close proximity to larger more populated centers. Salem officially came to be in 1814 and grew rapidly, thriving on agriculture, and the products of its mills and tanneries. In 1851 the first train arrived in Salem, providing a major link for Salem to the outside world. Throughout Salem’s history the town has thrived on the abundance of timber available in the area. 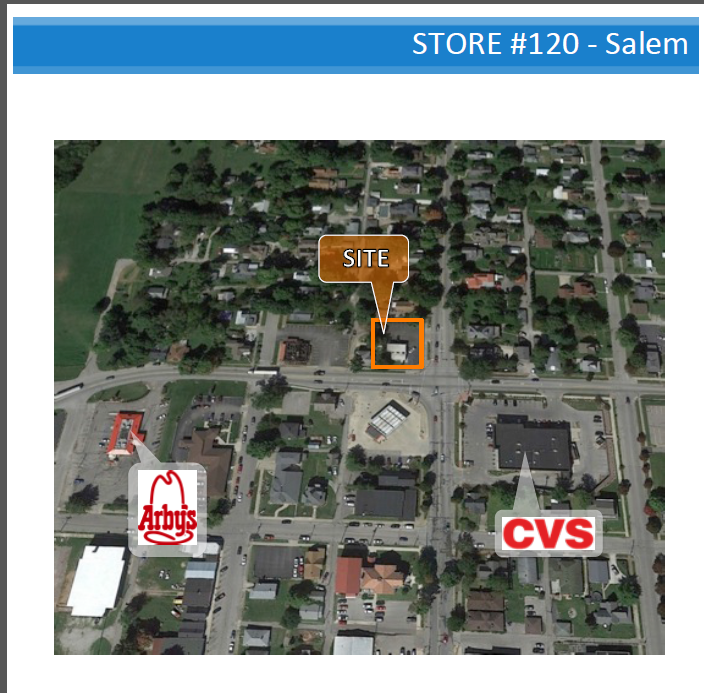 Salem is primarily an agricultural community, surrounded by Indiana forests, farmland, and small bodies of water. The primary crops today are corn and soybeans. One of Salem’s most prominent historic attraction is The John Hay Center, a national historic site for the birthplace of John Hay. Mr. Hay was the private secretary to President Abraham Lincoln and was also Secretary of State under both President McKinley and President Roosevelt. Every September Salem celebrates “Old Settler’s Day” at The John Hay Center. The festival features historical re-enactments, as well as local arts and crafts. Salem is also home to the legendary Salem Speedway which opened in 1947. Many racing legends have raced here including; Ted Horn, Parnelli Jones, Bobby and Al Unser, and many more. One of ESPN’s first televised auto racing events was held here in 1979. Climate: Hot, humid summers and generally mild to cool winters.